Slip into the Hot Air Balloon bounce rental and soar off into the skies. This pretty rainbow colored bouncer rental comes with a large entrance and netted windows on all sides -- you can look out at the birds, clouds, sun, and stars as you tumble your way to fun. 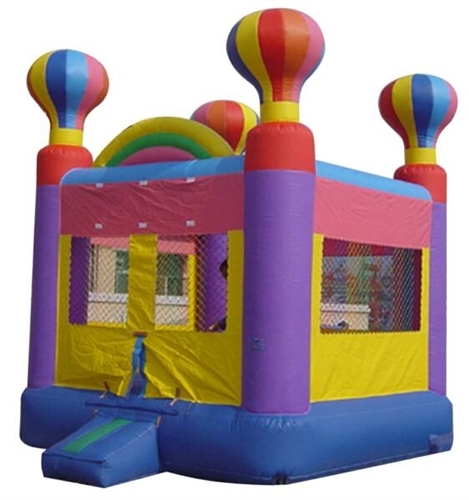 It comes with a rainbow arch and 4 fun striped balloons.